A part of me always mourns the end of summer. I love the hot weather, school vacation, and beach days, but have come to find benefits in the onset of the darker seasons too. I seem to read more, for one, and am looking forward to extra lazy time on the sofa with a good book. 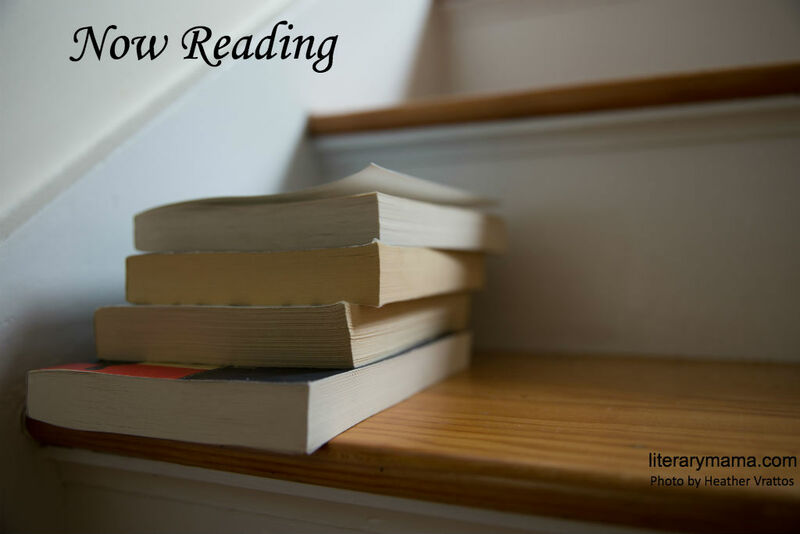 The Literary Mama staff are with me on this, and we've put together a few recommendations of welcoming-the-fall reads for you to cozy up with. Kim Ruff, Creative Nonfiction and Fiction Editorial Assistant writes, "Apologies in advance to all the lovers of the sun and sand of summertime, but fall and winter are my absolute favorite seasons! I am in awe each year of the fall foliage, and I get as giddy as a child on Christmas morning when chopping and stocking wood for the fireplace to prepare for frigid winter days. When I think about reading in these seasons, I think about sitting in a quiet space, that is filled with pillows, cushions, and blankets, and close to the fireplace—everything calming. 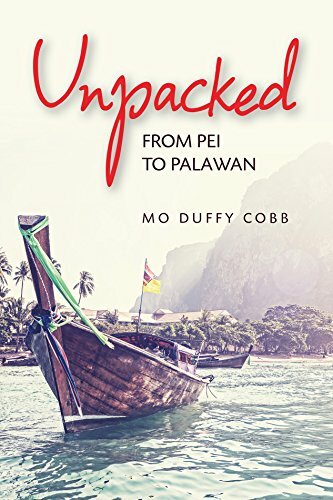 I recently finished Mo Duffy Cobb's travel memoir, Unpacked: From PEI to Palawan, and I would recommend not wasting another minute finding your quiet space to read it. Unpacked is a gripping narrative about a mother's choice, in the aftermath of a stillbirth, to abandon (or run away) from the comforts of her home, friends, loved ones, from everything that made sense to her, and go backpacking with her husband and two-year-old daughter through twelve countries in nine months. They travel without any real plan, in search of the great unknown. Duffy Cobb's detailed narrative will have readers in awe of the surrounding landscapes, that are intensified by her honest expression of trying to navigate life on the road with marital tensions, a two-year-old, and the numbing grief of her second child's death. Unpacked is a serious reflection of these experiences, and Duffy Cobb's down-to-earth, conversational tone will have the reader crying, laughing, and feeling frustrated right along with her—taking readers on a journey of their own." Poetry Editor, Juli Anna Herndon, has an original recommendation. 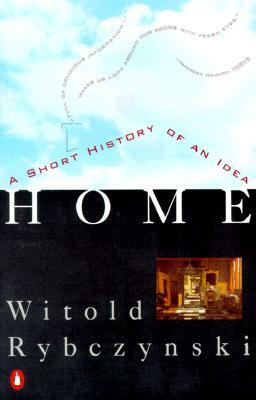 "While we usually turn to novels when we are looking for a cozy read, one of my favorites is a nonfiction title: Home: A Short History of an Idea by Witold Rybczynski. This book draws on art history, architecture, linguistics, and literature to trace the western ideal of home from the Renaissance to today. Rybczynski treats every aesthetic movement in domestic architecture as ultimately stemming from people's changing domestic values. Each chapter revolves around a historical era and the "homey" quality it coveted—from privacy to comfort—and examines how architecture and design reflected these sensibilities. These various qualities build on and rebel against each other over time, and contribute to the ways we organize and decorate our homes today. Rybczinski's style is both convivial and wry, and he effortlessly blends high-brow and low-brow references, underlining the ubiquity of these ideas. The book opens, for instance, with an in-depth (and humorous) analysis of a Ralph Lauren advertisement circa 1985, which the author uses to exemplify how we have integrated these various historical values into our contemporary ideal of what "home" is supposed to look or feel like. When I first read this book in college, it changed the way I thought about the objects I surround myself with; now it is much easier for me to identify the qualities I want to cultivate in a home, rather than choosing arbitrary themes or styles. It is really where I learned how to "nest!" For me, Home is the ultimate in cozy-under-a-blanket-with-tea reading, because it actually deals with how we have invented and implemented ideals of coziness over history." Finally, Devin Kate Pope, Newsletter Editor, shares one of her favorites with us. 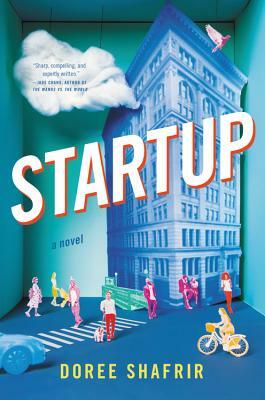 "Startup, by Doree Shafrir, is a racing ride through technology, business, journalism, misogyny, and social trends. Shafrir had me nodding, laughing and sometimes cringing, as her two main characters struggle to find success in their work and personal lives. Mack McAllister, a wunderkind wellness startup CEO, had a $600 million idea and success has gone to his head. Katya Pasternack, a reporter at a tech news startup, wants to succeed despite conflicting feedback and orders from her editors. Will Mack get his next round of funding? Will Katya break a big story? The answers intertwine as well as examine gender roles, startup culture, and social media entanglement. Shafrir skewers male egos and startup cliches with insights gleaned from her years as an online journalist. Roxane Gay calls this book a 'fun, fast read,' and I agree." Now over to you. What are your favorite cozy reads?